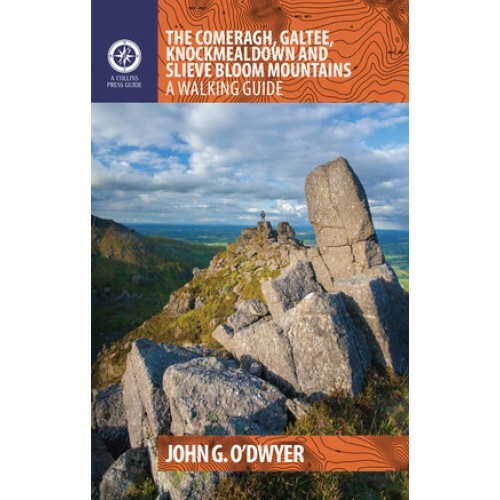 John G. O'Dwyer's comprehensive guide to the best walks in Tipperary and Waterford has now been updated and expanded to include Laois and Offaly. From the rugged Comeragh coums to the stately peaks of the Galtees, and from myth-laden Slievenamon to the sequestered glens of the popular Slieve Bloom Mountains, there are walks to suit all tastes in these uplands. The most captivating outings the region has to offer are shared here, along with all the necessary practical information such as maps, directions, the degree of difficulty and estimated duration. But this is more than just a walking guide. Each route gets beneath the skin of this ancient landscape littered with historic artifacts. A booley on a hillside tells how the uplands contributed to human survival; a working farmstead demonstrates the continuation of this tradition; a ruined cottage confirms a battle lost. This guidebook will appeal to committed hillwalkers and casual ramblers alike, as well as containing much of interest to anyone who wishes to better understand the age-old interaction between humans and hills.